When I first arrive at the theatre to get ready for the show, my shoes are another prop or costume piece I set. I go through a checklist of the entire show and place certain costumes and props where I will need to change into them (sometimes in a matter of seconds) or use them (you don’t want to be in the middle of a scene reaching for your prop only to realize you forgot to set it!). So even though I don’t wear my fuzzy pink slippers till Act II, they go to live in my apartment set piece before the start of the show. My adorable “date night” heels wait with my winter coat and a letter from Dear Friend off stage left in expectation of a 90 second “quick change” midway through Act I. 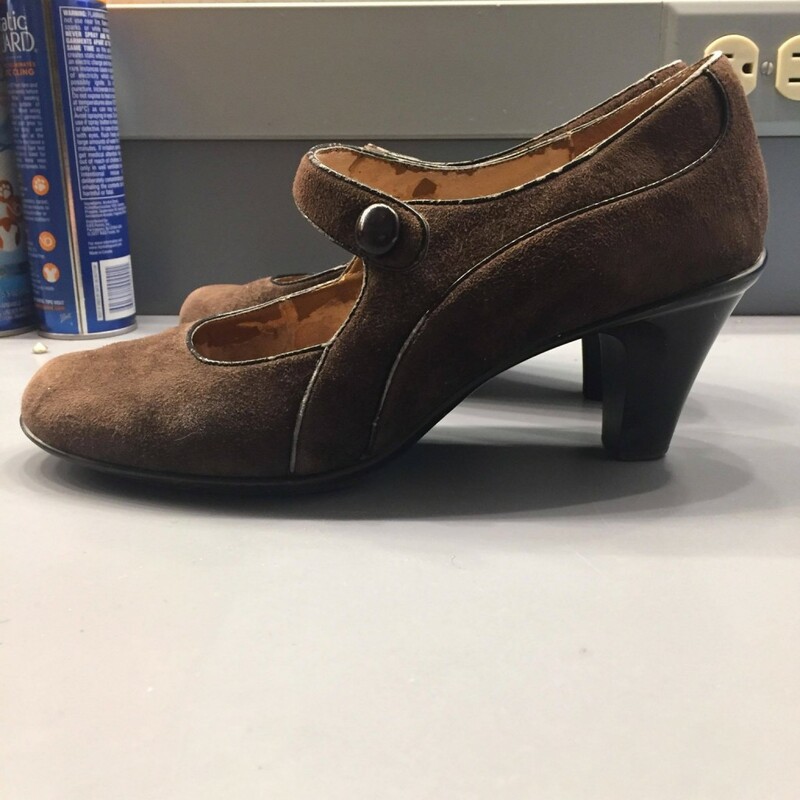 My sensible brown suede “work shoes” I wear with my first and last costumes and are the pair woefully without their mate sung about in frantic searching during the number “Where’s My Shoe?” near the start of Act II. I have been rehearsing with these shoes for weeks, and don’t my calves know it! Women of the 1930’s would never be without heels; even rain boots had a small platform. So going from my typical ballet flats and comfy knee-high boots was a change and challenge I, and all the women in the show, had to adjust to early on. Much like wearing rehearsal skirts ahead of dress rehearsals in our costumes, you have to experience how different shoes and clothes make you move and feel as your character. Flying off stage for that 90 second quick change requires a change of shoes and coat, removal of a skirt, as well as grabbing a letter I will enter the stage sing-reading. 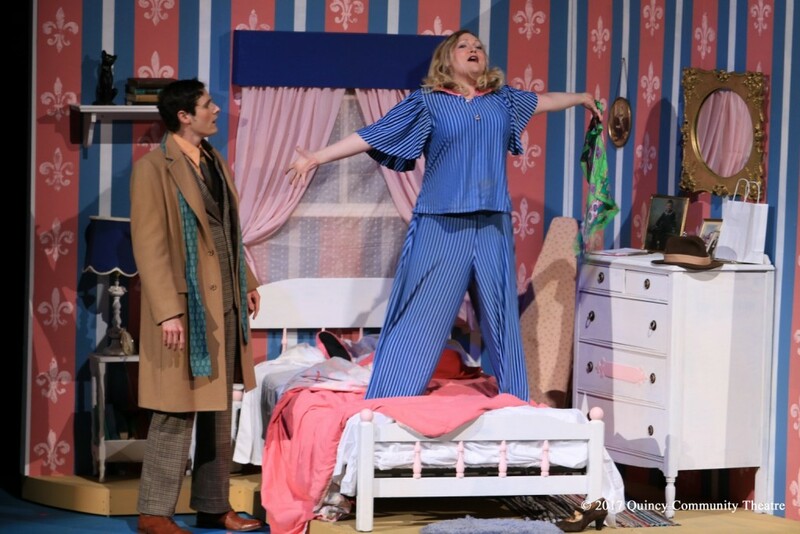 That change had to be rehearsed several times, and a team of four people are making it happen every show! Those “date night” heels are adorable to look at, but Bobette and Hannah will tell you they have a tricky little buckle! During Intermission the date shoes get retired to the dressing room to await the next performance and my “work shoes” go to the apartment with me. The left one is haphazardly perched by my bedside, but where is “myyyyy riiiiiight shoooooooe”? It’s there, but Amalia can’t see it, nor will Georg help her look! I happily pop on my comfy fuzzy slippers (only to lose both in the melee of the moment trying to convince Georg I am well enough to go to work) and hop into bed to await the scene. After singing my ode to “Vanilla Ice Cream,” and a new-found discovery of the heart, I retrieve both left and right work shoes and head back to the dressing room to change for the final scene. After the show closes Sunday, I will return my well-worn vintage brown suede shoes to the theatre’s basement stockpile where they came, along with the fuzzy pink slippers. But the date shoes, purchased myself just for this show, are coming home with me… hopefully to see more (and more successful) date nights!